There’s nothing better than a well-planned Halloween party. Whether your little one has an October birthday or you just love this time of year, organizing a couple games can keep kids old and young entertained. Go beyond the traditional “bobbing for apples” Halloween party game with these fun recommendations. What could be easier than tossing bean bag frogs or bats into a witch’s cauldron? Kids as little as two understand a simple directive like: “Throw it in.” Young kids love simply holding bean bags and carrying them around, so the tools you need to play the game could double as party favors, too! Award prizes based on how many bean bags each child gets into the cauldron, but don’t forget about a few consolation prizes just for being a good sport and playing. The Easter Bunny doesn’t have to be the only one who gets to have any fun. You can hide small pumpkins around the yard if the weather is conducive or indoors if the October chill has set in. Variations for older ones include placing colored dots on the bottom of the pumpkins and assigning a color to each kid. Tape up an obstacle course of toilet paper or streamers that kids have to crawl through to win their prizes. Poke spider rings through the paper that game players must avoid knocking down. We love the way this game gets the imagination going! 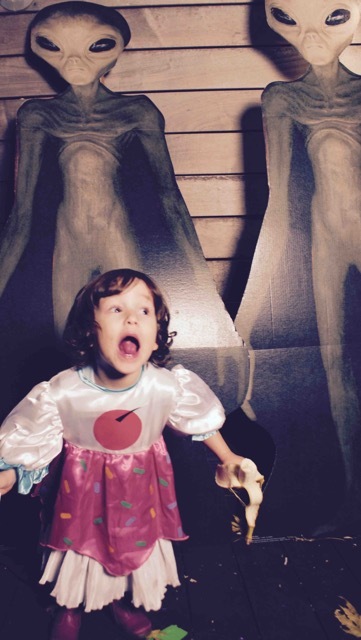 Looking for a spooky game to get the kids screaming and squirming? For this activity, you’ll read a macabre poem about a man whose dismembered body was found in a field near where you live. The kids will reach into a bag or through a hole in a cardboard box to feel each “body part,” such as: spaghetti or cauliflower (brain), grapes (eyeballs), corn silk (hair), sweet corn (teeth), dried peaches (ears), tomato (heart), sausages (fingers), and chunks of ham or a stuffed glove (hands). Alternatively, you may create a Halloween Touch & Feel box with giant toes, bat teeth, poison bugs, bleeding hearts, stinging worms, and witch bones instead. Get a free printable Halloween scavenger hunt from Play Party Plan that sends kids to backyard trees, the dining room table, the washing machine, the oven, a bed, and the remote control to find new clues. This game not only encourages exploration, but also enhances confidence as kids delight in their ability to solve the riddles. This game makes the ideal ice breaker game to encourage mingling and conversation. Each player has the name of a classic monster taped to their back. They need to ask the other players “yes” or “no” questions to figure out who they are. No time or energy to run the show? 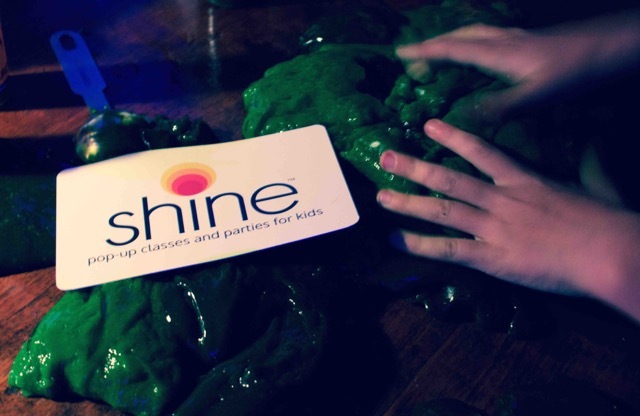 Call Shine NYC to bring the fun to your next event! Jenn Fusion is a Buffalo, NY based wordsmith with more than a decade of experience researching, writing, and editing informative and insightful articles for business clients. Her work has been featured online and in print editions of USA Today, the Atlanta Journal-Constitution, and The Houston Chronicle, as well as niche publications for vice presidents, celebrities, music, and beer. You may have seen on Huffington Post Live TV or heard her on Minnesota Public Radio. Best of all, she’s the mother of busybody toddlers Josephine and Henri.